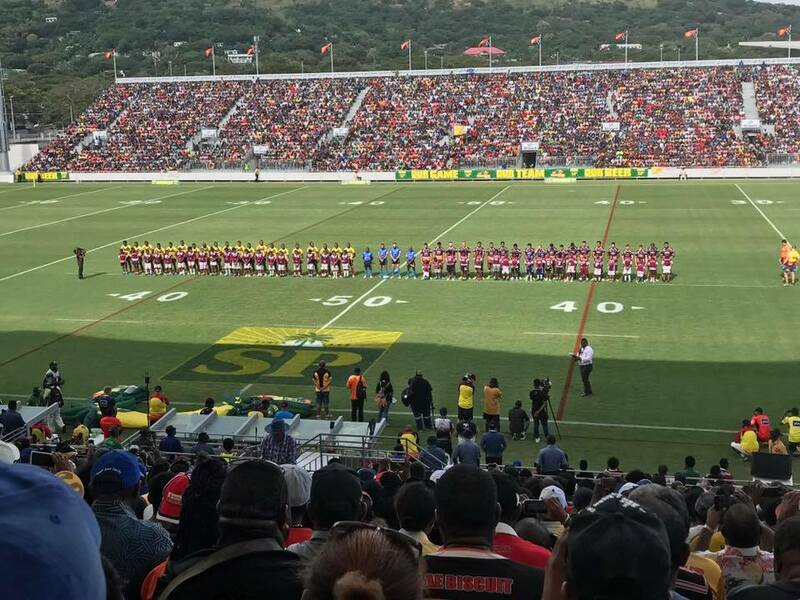 The PNG Hunters fell to the hands of NRL club Brisbance Broncos in an entertaining trial match at the National Football Stadium in Port Moresby over the weekend. The score was 26 -12 at full time. The visitors were first to score through Jonus Pearson. Jordon Kau added the extras to take the lead to 6 - 0 . The stadium erupted after Hunters forward Enock Maki bumped the defenders off and scored. The extra was added the score was leveled at 6 - 6 all. 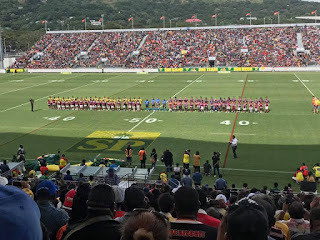 The stadium erupted once again when Hunters halve back Watson Boas put a grubber and recollected the ball and scored to take the lead to 12 - 6 at half-time. The second half was dominated by the Broncos, thanks to the NRL's new rule on the "play the ball" as the Hunters were caught aware of the rule and penalized multiple times. Tries through Alex Glenn, Korbin Sims, Jordan Kahu and Corey Oates put 26 - 12 win for the Broncos at full time.